Bike & Build engages young adults in service-oriented cycling trips to raise money and awareness for the affordable housing cause. It is a once-in-a-lifetime experience that fosters a sustained connection to community. We advocate for the need for affordable housing in thousands of communities across the country. Through service-oriented cycling trips, Bike & Build benefits affordable housing and empowers young adults for a lifetime of service and civic engagement. We envision future generations who are committed to a lifetime of civic engagement and who inspire individuals and communities to create fair, decent housing for all Americans. This is the same as pedaling round trip to the moon and back 24 times. We would need 233 stretch limos if we were all going to the same prom. With that money you could buy, you know, 6.6 million McDonald’s cheeseburgers. Bike & Build was founded in New York City by Marc Bush who, after leading a cross-country trip with the (now discontinued) Yale Habitat Bicycle Challenge in 2001, was inspired to expand and improve their model. 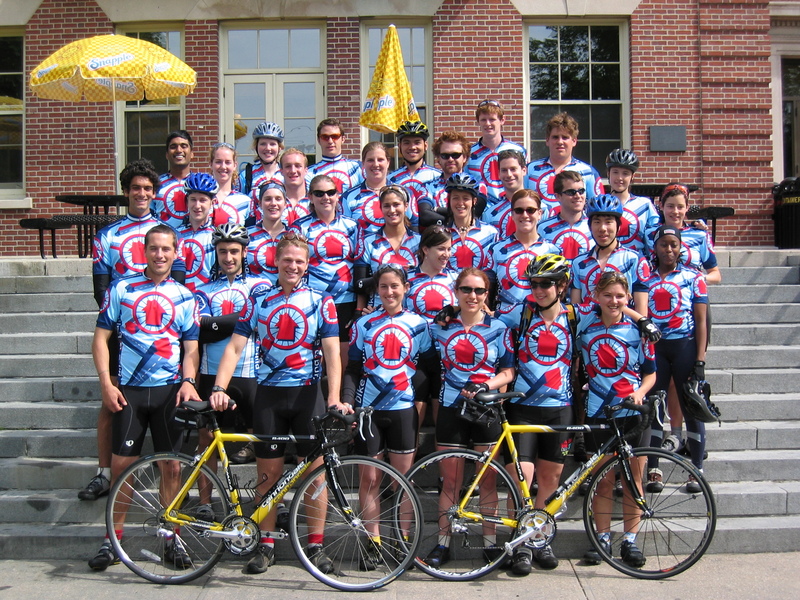 Bike & Build’s inaugural routes – Central United States and Northern United States – dipped their wheels in the Atlantic Ocean for the first time in 2003. After that, Bike & Build added a new cross-country trip every year for the next six summers. After growing for five years in the Big Apple, Bike & Build relocated to Philadelphia to enjoy a more central East Coast location, less expensive operating costs, and more accessible van and trailer storage. Always valuing function over form, the first office in the City of Brotherly Love was a concrete box behind a 7-11 (you can’t make this stuff up). Fortunately, in 2012 we outgrew that office and moved to our current address — 6153 Ridge Ave. Incredibly, there are windows, parking spots, and carpet!